In response to the growing need in the domestic market for aluminum billet products, Taber Extrusions, LLC is announcing the planned addition of 7” billet molds to our existing extrusion billet casting facility in Gulfport, MS.
Our recently upgraded, state-of-the-art billet casting facility, unveiled late last year (as announced in our article with Light Metal Age), allows Taber to manufacture aluminum billets for defense, marine and other specialized industries. 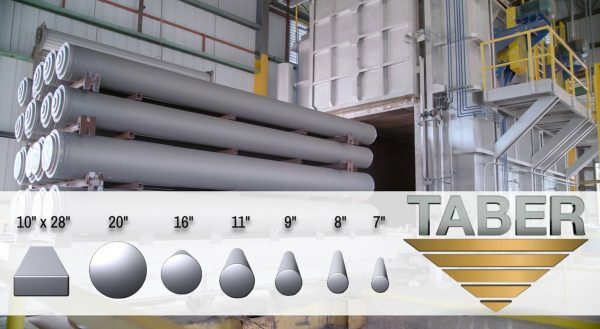 By combining our advanced, specialized systems with experienced metallurgists and engineers, Taber is proud of our ability to produce an aluminum billet of superior quality. The new addition of the 7” billet molds to our collection complements the existing 8”, 9”, 11”, 16”, and 20” diameter molds. Aluminum billets will be available in 6063 and 6061 alloy chemistries as well as specialized chemistries upon request. “Taber is excited to now offer 7” extrusion logs to our fellow extruders, in addition to our previous offerings,” says Jason Weber – VP Sales and Marketing at Taber. Our casthouse is uniquely situated in Gulfport, MS with port access as well as easy access to industrial scrap. These input factors coupled with the recently refurbished casting equipment with the LARS® in-line degassing and purification system supplies billet chemistries and consistencies which rival those of larger billet producers. Since 1973, Taber Extrusions LLC has pioneered the extrusion of large, heavy, and wide complex shapes to differentiate itself in the aluminum extrusion industry. Since its inception, the brand name Taber Extrusions has been synonymous with innovation, service, and quality—all of which serve to make Taber Extrusions the premiere aluminum extrusion company. All of our extrusions have been, and will continue to be engineered, manufactured, and tested in the United States. Taber Extrusions maintains its headquarters at the Russellville, Arkansas facility, with a regional sales office at its Gulfport, Mississippi facility. After all this time, why do our customers continue to return to Taber? It’s because we’re dedicated to innovation. 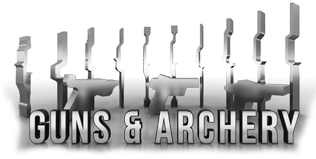 We’re dedicated to finding intricate solutions for even the most complex extrusion request. While other aluminum extrusion companies continue to focus on standard products and techniques, Taber’s work ethic and attention to the needs of the market allow Taber to create customized, versatile, high quality, and market-oriented products that can satisfy a wide range of applications.